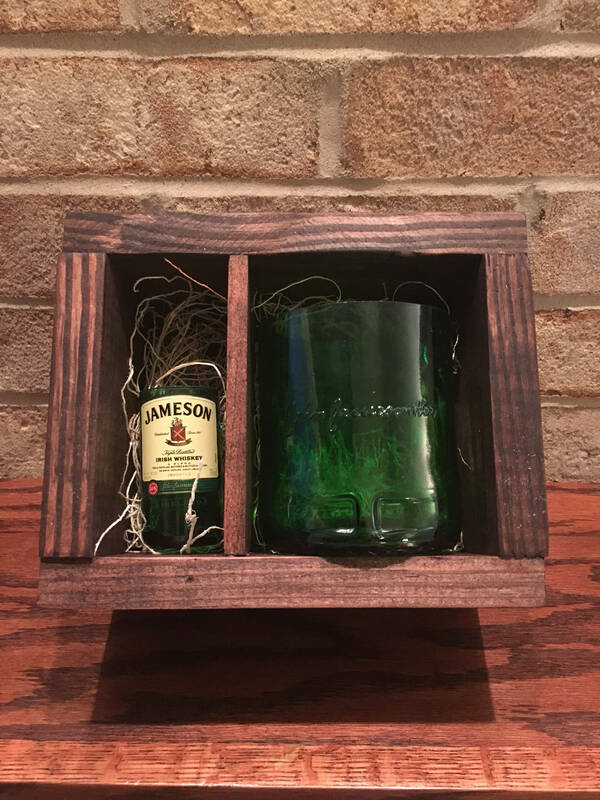 You are purchasing a wood gift box set of a Jameson Whiskey rocks glass made from an empty bottle and a shot glass from a 50ml bottle. 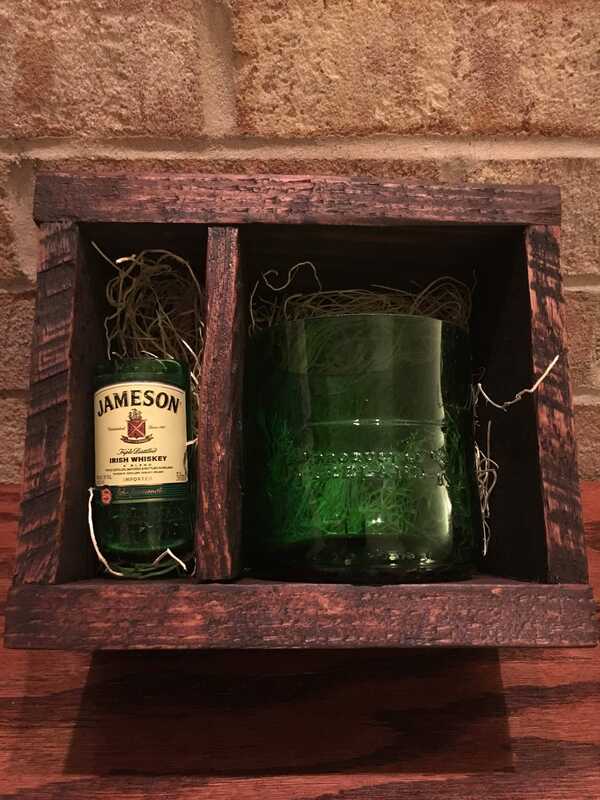 Wood shred included in the bottom of each box compartment. 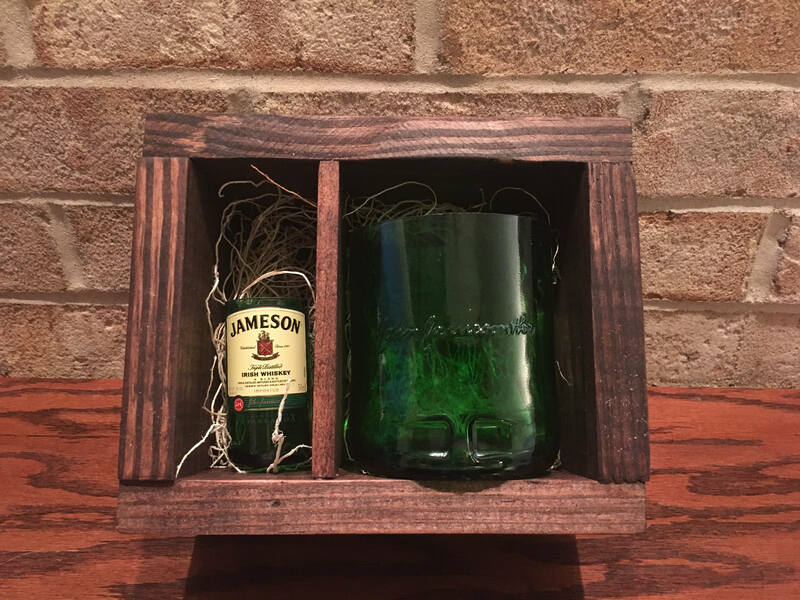 Great for upcoming St Patrick’s Day! !